I was starting to get worried that Iain Woods was never going to return as Psychologist, having been utterly enamoured with his beautiful 'Waves Of OK' EP back in 2011. But it turns out I simply missed the news of his return, which came earlier in the year with 'When Particles Collide'. Now he's unveiled news of the long awaited Psychologist album and a track from it - listen to 'Worlds Away' below. 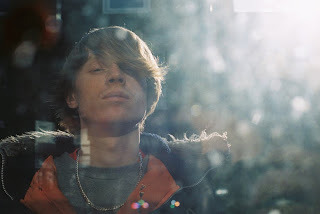 The new track is akin to the darker and more abrasive tracks seen on his last 'Propeller' EP, providing a gloriously exhausting mish-mash of everything from spoken word to a screeching hook. It's almost as if Psychologist has bottled up the last three years of music, to unleash it all in one go in under four minutes. Alas, debut album 'Autophobe' won't be out till the start of next year but nonetheless, hopefully we'll be hearing more Psychologist material in the near future. Find more info at facebook.com/psychologistmusic.